This paper presents the design and performance analysis of radio frequency micro electro mechanical system switches having serpentine flexure designs. 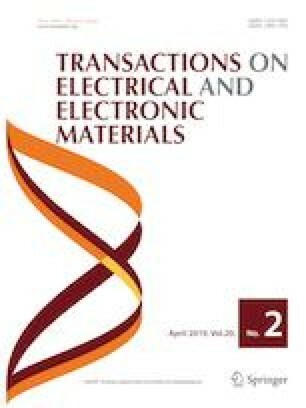 In this paper, we have done, behavioral analysis by changing material, gap and thickness, increase in the actuation area using menders, impact of holes on effective working of the switch, stress analysis for low spring constant, electromechanical analysis for low pull-in voltage and high capacitance ratio, time dependent analysis for faster switching time, scattering parameter analysis for reducing RF losses are simulated and compared with the theoretical analysis. The significant improvements in this work are lesser air gap and beam thickness reduced the pull-in voltage to 2.75 V for 1.66 µm displacement, a rapid switching time of 0.9 µs obtained through simulation, an improved capacitance ratio of 157.25, isolation is 49.59 dB, insertion loss is 0.005 dB. Actuation area is increased, and switch area is reduced to achieve the optimum performance of the switch. The Authors would like to thank to NMDC supported by NPMASS, for providing the necessary computational tools.